You’ve Got To See These Amazing Midtown Atlanta Apartments ASAP! 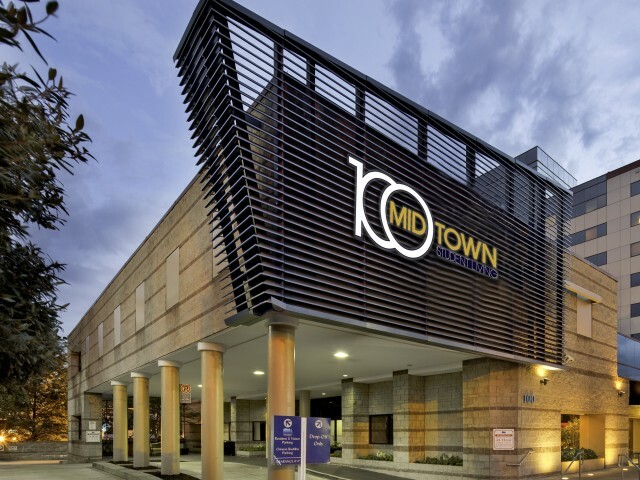 Your search for the best Midtown Atlanta apartments ends at 100 Midtown. Conveniently located in the middle of the Georgia Tech campus, our premier apartment community is perfect for students! There are tons of great restaurants in Midtown and nearby Technology Square. But if you’d rather cook at home, you won’t have to go far for groceries —Publix Super Market is just one block away— and our apartments have full kitchens, complete with microwaves and dishwashers. Our floor plans also feature open living and dining areas, 2 or 4 bedrooms, 1 or 2 bathrooms, and spacious closets. Apartments are fully furnished and come with their own washer and dryer, making move-in a breeze. And there’s no additional charge for high speed Internet, cable, or electric— it’s all included in your rent! And speaking of rent… We offer individual leases (leases by the bed, not the unit), so the only rent you’re responsible for is yours, even if your roommate moves or transfers. If this all sounds too good to be true, wait until you hear about our amazing amenities! Our computer lab has Macs and PCs loaded with engineering software and the Adobe Creative Suite, and our recently updated fitness center has cardio equipment, machine and free weights, and a TRX station— and both are open 24 hours a day, letting you catch up on schoolwork and work out whenever it’s convenient for you! We also have a library and study rooms with Smart Boards. When it’s time to relax, head to our game room with billiards and table tennis, our movie theater with an HD projector, Blu-ray player and real theater seating, or our video gaming room. You’ll never be bored as long as you live here! 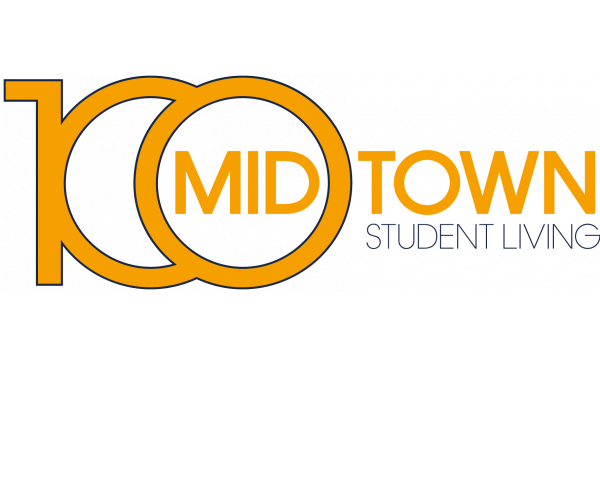 100 Midtown has the very best Midtown Atlanta apartments for students, and we can prove it! Take a tour, and we’ll happily show you around, discuss lease terms and availability, and answer any questions you have. But hurry. Our apartments are going fast, and we don’t want you to miss out on this fantastic living experience. Contact us now!